The Online Taxi Booking Software system provides a professional, reliable and secure service that gives your customers the confidence to book your services. It is extremely user-friendly and the booking process completed in just a few short steps. 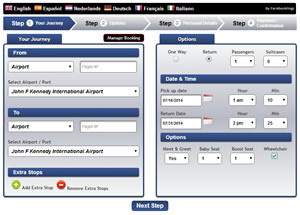 Our Online Fare Calculator provides an easy solution to a growing demand in the travel industry. With more and more people travelling internationally on both business and pleasure trips, the Internet is now the main source through which their travel arrangements are completed and customers can book a taxi to or from the Airports online. This vital service means your customer does not need to wait for a quotation response by email. A time delay like this could result in the customer looking elsewhere for a quotation. Booking their private taxi or airport transfer online eliminates the risk of losing a customer who may not be able to connect on a busy phone line. Though, for whatever reason, you may need to follow up with the Customer after they place their booking, making contact will be an easy step as they will have provided all their contact details on the booking form. 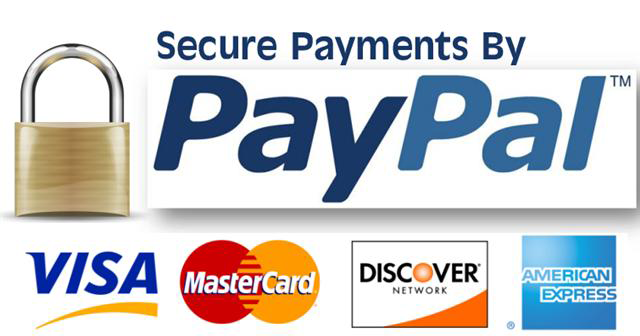 The customer can pay their fare upfront by Credit Card or Paypal. Secure payment facilities create and increase consumer confidence in your services and leads to fewer cancellations for your taxi company. A Confirmation of Booking creates both a receipt and printable itinerary for both driver and passenger. Customers travelling with sports equipment, over-sized luggage or even taking their pets with them can request a price for these extra services. Knowing the precise requirements of the customer, your taxi company can provide a full quotation without delay and the customer will proceed with their reservation. Providing this level of customer service will lead to positive reviews about the services offered by your taxi firm and to a greater chance of repeat bookings. Communicating directly to customers in their native language can be a challenge or, depending on the language skills of your taxi-drivers, an impossible reach. As the Online Taxi Fare Calculator can be provided as multi-language platform, the customer can calculate the fare-cost, book their private taxi or airport transfer and receive their travel itinerary in their preferred language. Your Driver will have no concerns about trying to interpret any information related to the journey. Or worse, don’t have them looking online to book with another firm! The majority of people around the world use the Internet as their preferred method to book taxi and airport transfer services online. Integrating the Online Fare Calculator onto your website means that your private Transfer or Taxi-hire business have a solution to this growing market demand and will remain competitive within the travel related industry. Our Taxi Booking Software online calculator and reservation system is ideal for any taxi or private-hire transfer business. However, if you have a business and feel the calculator may work for you, please contact us to discuss your requirements. FARE BOOKINGS have developed a mobile web based solution that is designed to run effectively on any Smartphone and enables your customers to see the taxi-fare online, make a reservation and pay for your service simply and cost effectively via their mobile phone. Offering such a convenient and simple method to book their private-taxi hire or Airport Transfer, will encourage customers back to use your services time and again. 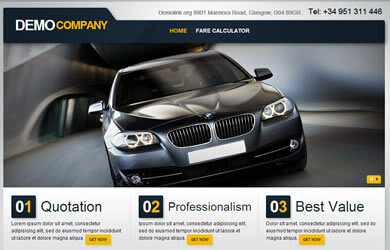 Taxi Fare Calculator focuses on all the essential fare-calculation and taxi reservation tools to make your business website an online success. 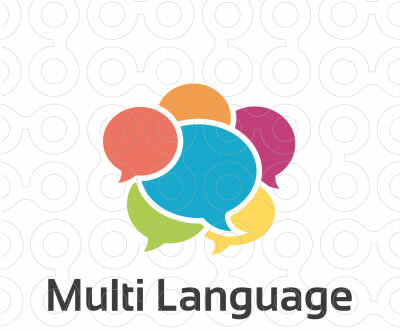 We have a team of a highly-experienced designers who build websites in a variety of languages and with a clear understanding of what is required in the taxi business to maximise the potential of your website. We offer a very competitive package to include website design and integration of all the essential taxi-booking services that are needed to give your business a professional and effective presence that customers will trust.